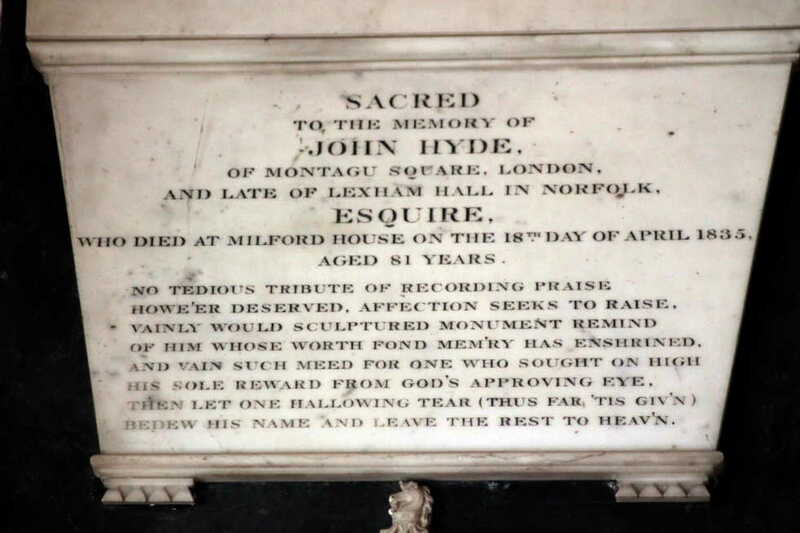 John Hyde is described as being of Montague Square London and late of Lexham Hall Norfolk, although he seems to have been rather more peripatetic as two of his children were baptised at Walcot St Swithin in Somerset and one in Bristol. His oldest daughter, Catherine Lucy Eliza who was named after her mother (Catherine Maria née Bathoe), married Lt Col Joseph D’Arcy, then of Milford House, in 1830. See also Joseph D’Arcy and The D’Arcy Family. John Hyde died at Milford House in 1835. It would appear that the D’Arcys had moved on to Priestlands in Pennington. 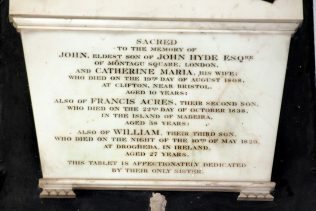 A memorial was erected in All Saints Church almost certainly by his daughter Catherine. Soon after Catherine erected another memorial to her three brothers. It is quite possible that none of them ever visited Milford. John had died at the age of 10 and was buried at Bath Abbey, Francis – at one time of 12th (Prince of Wales’) Regiment of Lancers – who died in Madeira, and William who died in Drogheda. There is much fun and games here with Christian names. 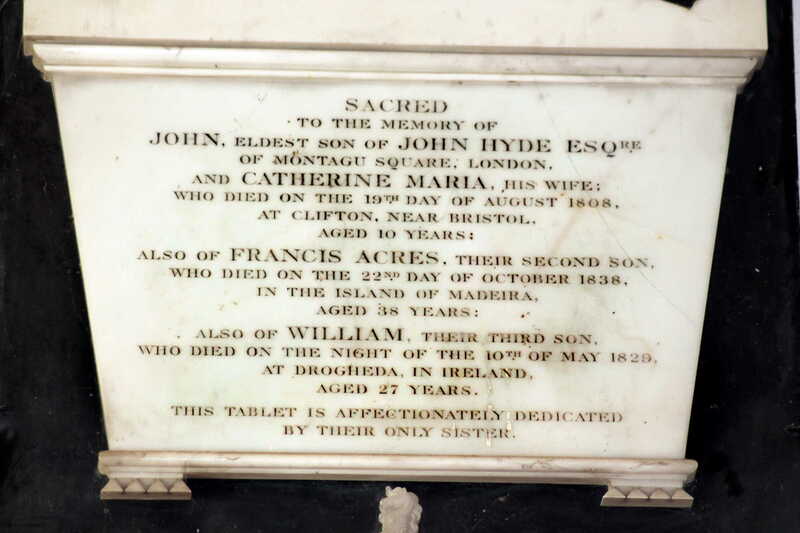 John Hyde was the son of John and Maria, and then had a son of the same name. His daughter was named Catherine after her mother and Maria after her father’s mother. When she married, she was the second wife of Joseph D’Arcy whose first wife was also Catherine.